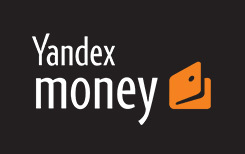 Yandex Money is one of the most popular payment solutions in Russia. But it’s used far beyond Russian borders. A lot of neighboring countries choose it as a primary method to purchase goods and services online. Almost all Gaming sites targeting Russian speaking population accept Yandex Money. This is a highly convenient, secure and reliable solution and these are the main reasons of its popularity. Customers can access their accounts on computers and portable devices using mobile applications developed for iOS, Windows and Android platforms. Yandex is a well familiar brand. Most Russian speaking internet users know it as a famous search engine on Russian market. It’s the established and trusted company, and therefore, their payment solution immediately became a success when it was introduced. This is a standard e-wallet and you won’t have difficulties using Yandex Money if you already have experience paying with some other e-wallets. Once you create an account with the system, your next step is to upload funds. As soon as you have money in your Yandex Money account, you can proceed to purchasing casino credits. Right after deposit is approved, money will hit your gaming account. To access payment services, you need to have Yandex mail account. If you have it, you don’t have to register with Yandex Money and will just be asked to enter your phone number. This is an important security measure because the system will send you verification code to make sure only authorized operations get processed. There are several options of topping up your Yandex Money account. Russian players will be able to use numerous Sberbank ATMs located all over the country. Cash payments can also be made through Euroset and some other merchants. Terminals accepting Yandex Money deposits can also be found in other CIS countries such as Kazakhstan, Belarus, Ukraine. Sberbank customers can transfer money from their bank cards to their e-wallet using online banking services. Money can also be moved from the user’s mobile account to e-wallet. This option is available to Beeline, MegaFon, MTS and Tele2 customers. But unlike many other deposits methods, which are free, mobile companies charge from 7.86% to 15.86% per transfer. Above mentioned deposit options aren’t acceptable for many international players. But there’s one solution they can use – VISA, MasterCard and Maestro cards. Or it’s also possible to link your bank card and let Yandex Money use your bank account to make purchases. In this case your card details will be protected since they won’t be exposed to merchants. Wire and money transfers can also be used to fund this e-wallet. Customers can order two types of plastic MasterCard cards. One will cost just 200 rubles, which is roughly $3-$3.5, and the other – 500 rubles. The latter option offers extra benefits along with basic features like cash withdrawals, online and offline purchases. The company also issues virtual cards for online payments only. These cards are issued for free. Yandex was established in 1997, but its history dates back to the beginning of 90s. Today it has several offices around the world and is able to successfully compete with Google on Russian speaking markets. In 2011 the company went public with shares being listed on NASDAQ. That allowed Yandex to raise more than one billion USD. The company first entered the search engine world and later introduced variety of other services, including Yandex Money payment system. Yandex Money is available since 2002, but it’s only after Sberbank has acquired ¾ of its stake that the system became extra attractive for users. Sberbank is one of the greatest Russian financial institutions and it was able to make Yandex Money services much more convenient as customers could use the bank’s countless ATMs and online banking to manage their Yandex Money accounts. Considering Yandex is a famous search engine in Russia and CIS countries, it wasn’t surprising that their payment services became one of the major solutions on these markets. Today thousands of online merchants around the globe accept Yandex Money and the system has around 15,000 new members a day.